My drive from home to school in Stillwater is about 70 minutes one way. I’m not complaining at all, its an easy commute – no horrible traffic to deal with. So on the journey I frequently listen to a variety of podcasts: Edusurge, Freakonomics, TED Radio Hour, Planet Money, Techlandia, Radiolab, Surprisingly Awesome, just to name a few. I even record my own podcast during the school year – stay tuned the summer hiatus is almost over. Applied for a position as an instructional technology consultant for a school district. Didn’t get it. Got a D in college calculus. Changed majors. Made it to the interview round for a Department of Defense school in Europe. No call back. Only won four games my first year as a head soccer coach. We played 13 games. My GRE writing score did not qualify for the PhD program at OSU. You have to write a dissertation. Bought a money pit house the bled us dry and put a young couple into a stressful situation. Moved back in with parents (and stayed married). Made some very poor decisions, which I won’t go into. Lived through the aftermath. I have not had some of the epic “failure” experiences that others have had. However, almost every single failure led to a success somewhere down the line. You can trace the path and connect the dots. That instructional technology position I didn’t get led me to become a full time PhD student at Oklahoma State. A move that I has been a very positive, one that I have no regrets about making. Instead of chipping away on my degree for five or six years, I will be done with course work this semester. Total time: 2 full years. My dissertation is coming up, but it is very realistic to complete that by the end of next summer. That D in college calculus – that one hurt. I love calculus. But the poor grade led me to a different major. I matured, became a better student and retook the course. On the second time through my calculus (1, 2, and 3) grades were all A’s. The DoD call that never came gave me the opportunity to earn a masters degree and be part of a coaching staff that won the first women’s soccer state title at my school. This one also takes care of the “failed” first season of coaching. The money pit forced us to look at our finances in a different way. We got back on our feet while living with my parents. The things we learned from this failure put us in a position for me to go through grad school with no debt. Zero. Not a single student loan was taken. We also have no debt except our mortgage, not even a car payment. Still waiting on that blog post – one day maybe…although there are other things in life that are way more important. Poor decisions have always led to learning from those experiences. I don’t often make the same mistake twice – that is success in itself. So why is it that we get so darn hung up on failure in school? We test the heck out of the students to make sure that they are doing the right thing at the right time. If they don’t meet some kind of statistical marker, they are labeled a failure and forced to repeat something. Schools do amazing things every day, they work modern day miracles and are labeled failures. Why? And who determines what a failure is? Is the student who is homeless a failure because of their life situation? What about the teacher who is working with that student every single day. Is that teacher a failure when the student doesn’t perform? I worry that we label schools and teachers failures, leading them to think of themselves as failures. This can become a cycle that can be difficult to break. What about celebrating failure? X does just that. They have a culture of failure. It’s celebrated. Yet, X has developed some awesome ideas through failure and into reality. The self driving car came from ideas generated at X. How can we harness that creativity in our schools? Our schools are staffed with exceptional teachers and wonderful students. Is there a way to allow failure to become part of your culture? Can your students fail forward so many times that they develop an amazing idea into reality? Promote a culture in your building and in your classroom where students and teachers are allowed to go out on the limb. Give them the opportunity to take a risk. To do something that could fail. Let them go through the mistakes they made along the way. Reflect on the good and bad that happened. Develop a new plan of attack and move forward. I flipped my classroom, this was a risk. It was intentional. It was with purpose. I had a goal I was working toward. But that first year was rough. I wouldn’t call it a failure, but it was not really a success either. Learned from it though. Then worked with my partner in crime. We made some changes. We tweaked things that needed to be tweaked. Year two we improved. Year three was off the charts. Honor those teachers willing to take a risk. Praise the students who fail forward. Celebrate what is being learned in the process. Watch this TED Talk by Astro Teller. Then leave a comment about ways you can celebrate failure in your classroom or building. 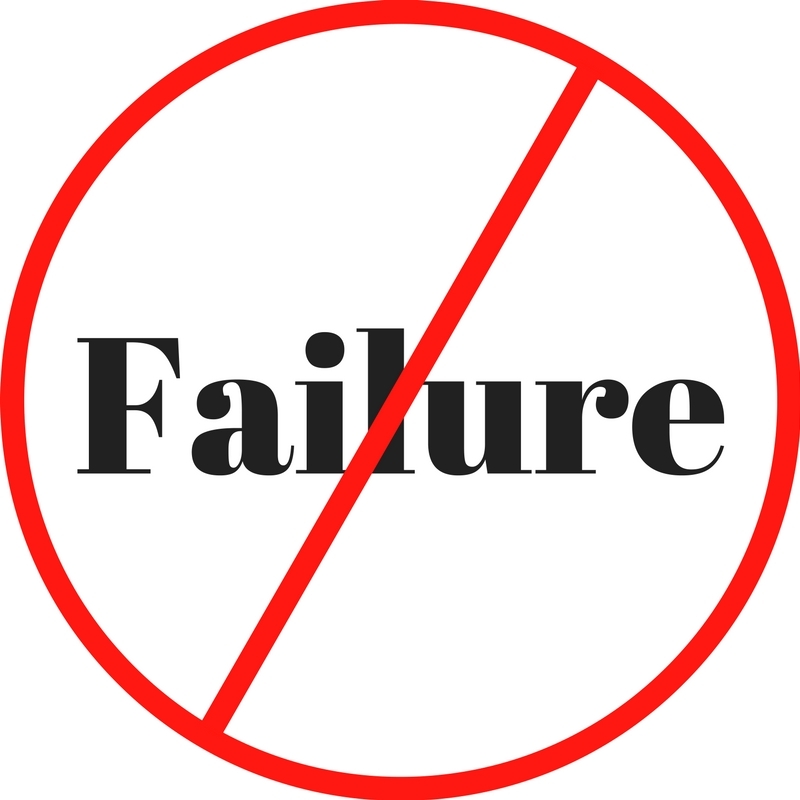 great post…our failures are all part of our journey. I know mine certainly led me to new and different things, much in line with your story. i’ve failed a bunch in school (not always grade-wise) in both learning and teaching…when I failed accounting and business stat, I switched to history and was super happy I did. it led me to two degrees in the field. in my first year of k12 teaching, that lesson that i worked on for days and day flopped. I asked my students about it…we brainstormed and discussed what rocked and what sucked. using their input and my experience, I retooled and reworked and will try again this year. I value their input…it’s not just what I think about it, it’s _our_ experience so I think it’s important to get their perspective.